CCF conducted free clinic on 27th Feb for Thalassemia children at Centre for Thalassemia and Blood disorders , Banjara Hills. 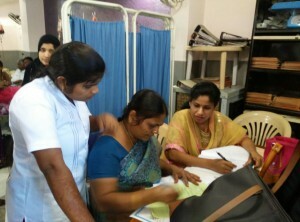 The clinic was attended by 11 children and their families.Dr Ramana Dandamudi , Mrs Bharathi, Mrs Jaya and Mrs Supriya participated in the clinic. Children and parents were educated on hygiene, Diet, drug administration and care during blood transfusions. 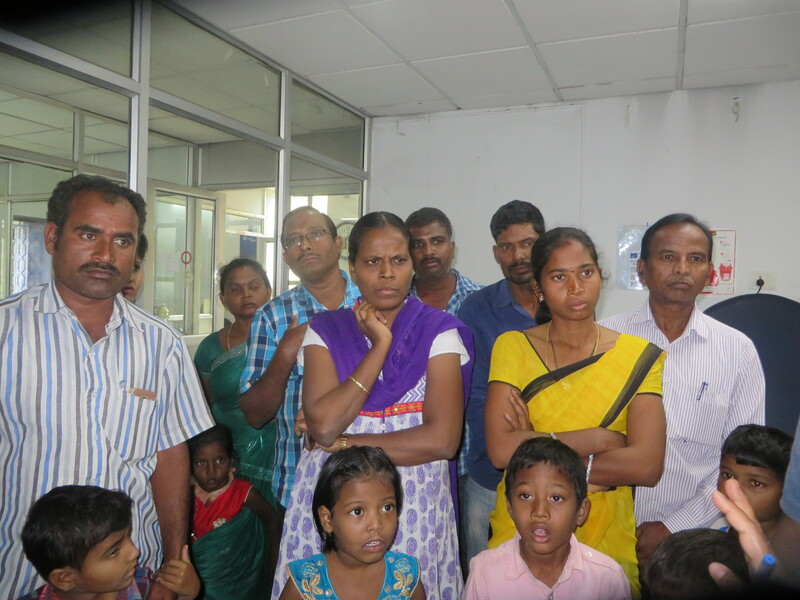 CCF supported a child Ravi Charan Teja for medical treatment. The child is being treated for blood disorder by Dr Ramana Dandamudi at Little stars children’s Hospital. 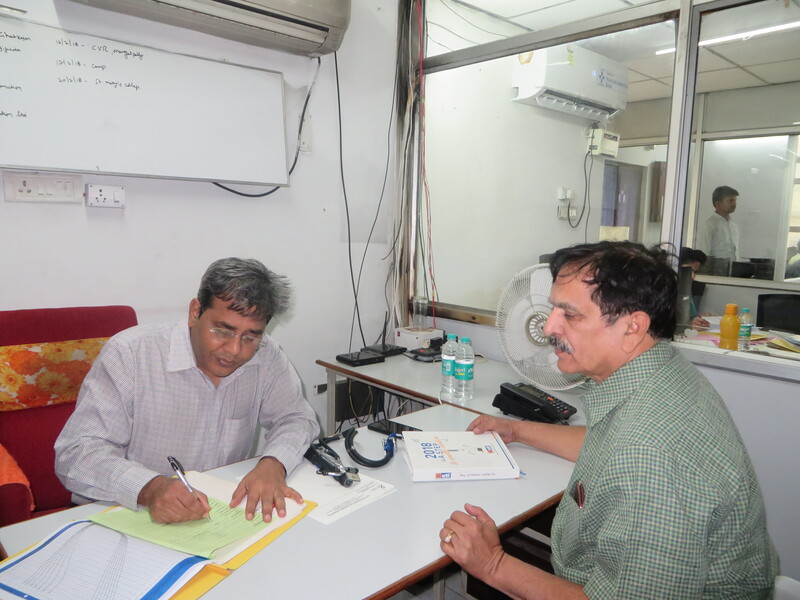 CCF conducted medical checkup on 14th Feb for Thalassemia children at Red cross blood bank , Vidya Nagar. 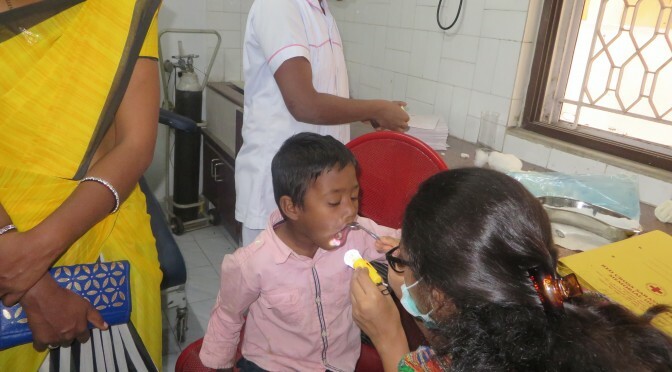 The clinic was attended by 11 children and their families. A free medical camp was organized on 4th of February at Shikara School, Vijayawada for the Thalassemia community. The camp was jointly organized by Children’s cancer Foundation, Kinnera Memorial trust, Mamatha Foundation, Hematology Foundation. 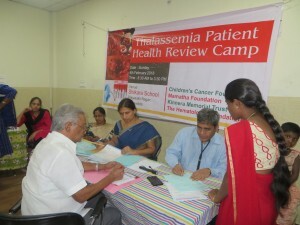 51 children and families attended the camp and were given guidance on management of Thalassemia. Dr Ramana Dandamudi, Dr Sridevi , Dr Maganti Prasad, Mrs Jaya, Mrs Bharathi , Mr Hemanth and Mrs Vani kantamneni participated and guided the patients. Blood samples were collected for 26 children at the camp for further investigations. We thank all the volunteers from Mamata Hospital, Vijayawada for their efforts in the smooth conduct of the Thalassemia camp. CCF conducted free clinic on 30th January for Thalassemia children at Centre for Thalassemia and Blood disorders , Banjara Hills. The clinic was attended by 10 children and their families. Dr Ramana Dandamudi , Dr Gayathri, Mrs Bharathi, Mrs Jaya and Mr Hemanth participated in the clinic. Children and parents were educated on various aspects of Thalassemia.